Not widely available but well worth planting in any garden. Blue green rounded leaves with good autumn colour. 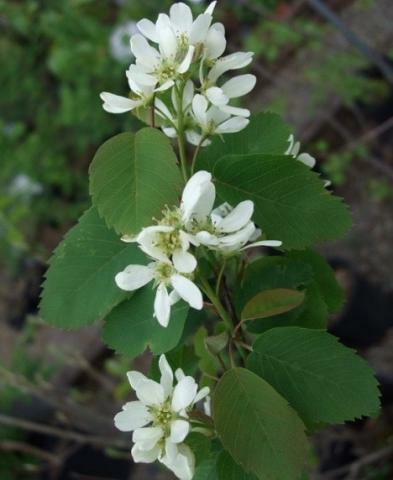 An upright, compact shrub with stout flower spikes of white flowers, April to May. 3m tall. Sun or semi shade. Tolerant and reliable to grow.